Jo is a graduate from a full time dance college who runs fitness classes as well as dance classes for young people. 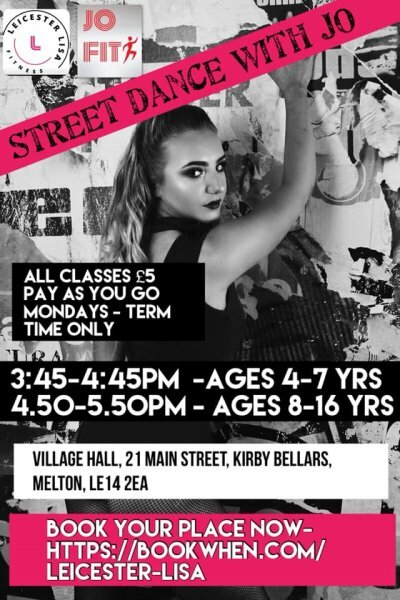 Street dance classes for kids age 4-16 years run at Kirby Bellars Village Hall on Monday nights. All abilities and genders are welcome! You can pre-book your child's place now and pay on entry!